Measures to tax soda and other sugary drinks have been approved by wide margins in the cities of San Francisco, Oakland and Albany. The measures, approved Tuesday, levy a penny-per-ounce tax on sweetened drinks. Backers say the taxes will curb consumption of drinks that contribute to diabetes and other serious health problems. Opponents say the taxes are regressive and will hurt working families and businesses. 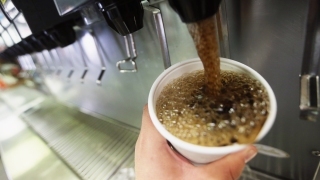 The taxes will apply to regular soda, sweetened tea and sports drinks with sugar. They won't apply to diet sodas or naturally sweetened drinks. The measures in San Francisco and Oakland had about 62 percent of the vote while the measure in Albany won with about 71 percent.